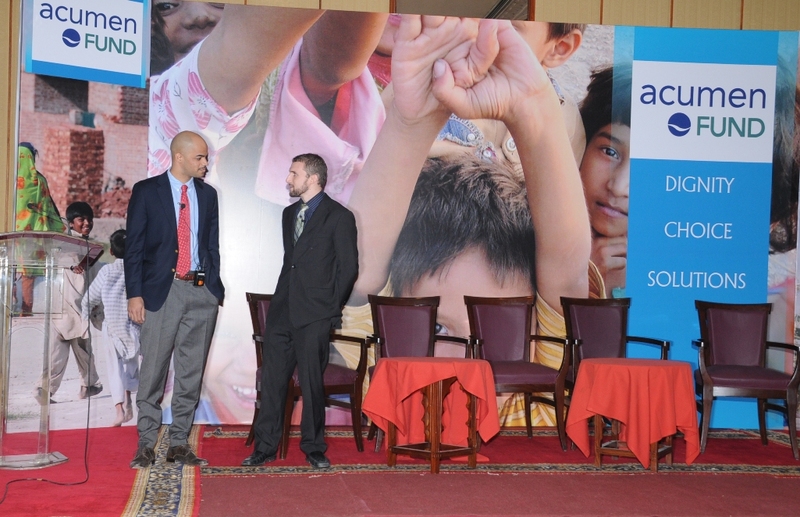 A few weeks ago, I was asked to speak at an Acumen Fund Community Gathering (CG) event in Karachi about my passion and background in economic development. 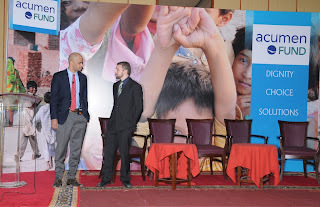 The purpose of this annual celebration was to galvanize the local Acumen community in Pakistan – focusing on social entrepreneurship and patient capital – and Bryan (the other Fellow in PK) and I also wanted to share our hopes and early experiences in our new country/home. To help dispel these misconceptions, I was planning to put together a video, introducing Pharmagen, the amazing management team here, and the incredible community that we work with throughout Lahore. Fortunately, Acumen beat me to the big screen. Although the film focuses on the water division (and not the rural pharmacy chain), it’s a great introduction to the company and I hope it inspires you as much as it did the community at the CG. When I boarded my flight to Pakistan 3 weeks ago, a bridal fashion show in Lahore was the last event I could have imagined attending. A wedding? Perhaps. A fashion show? Maybe. But a bridal fashion show? Definitely not. Well, as your Sherlock skills might have detected, a bridal fashion show was exactly where I found myself (specifically, the closing ceremony of the “Style 360 Bridal Couture Week,” and yes, the quotations are necessary!). Perhaps what you might not have hypothesized, however, was how much I actually enjoyed it! Although the designers we saw were absolutely breathtaking, the crayon-like crowd was probably my favorite part. From 24 year old journalists to 60 year old mothers to Dubai business investors to the hundreds like me who were just generally interested in global fashion. · to the shoe launch on 5th Avenue, where Salvatore Ferragamo recently introduced a shoe line (Ferragamo WORLD) from which they will give a portion of the sales to Acumen Fund to help alleviate poverty (video below). 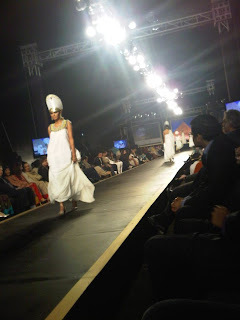 As I relived these memories from our pirated front row media seats in Lahore, I also became fully aware of the irony (and resulting parade of questions) of a high end fashion show where any one of the featured garments could cost more than the per capita income of half the country’s population. Is this a paradox that will always exist? A dichotomy of the haves and have nots? A labyrinth-like dilemma where your Brooks Brothers shoes are nothing more than a guilty pleasure that stay in your closet every time you travel to a developing country? Or is it possible to develop partnerships with the fashion industry – like Acumen and Ferragamo are doing, or like TOMS Shoes is doing – so that the industry can meaningfully contribute to the economic development of countries such as Pakistan? More specifically, how do we take those ideas and partnerships to an even more profound level, so that low income communities are actually engaged in the process? As designers? As producers? As buyers and store owners and journalists and investors? · The WEEP program that I worked with in Kenya this past year, that trains widows with HIV in the slums to tailor school uniforms, craft jewelry, and launch their own businesses. My hope is that interventions like these might inspire the fashion industry to do what they do best – think innovatively – in order to help engage communities that have so often been left out of the industry's economic fabric. The following is a guest post from Bryan Farris, a 2011 Acumen Fellow and close friend. He has also been placed in Pakistan (at a different company) and has a background comically similar to mine (CA upbringing, big family, Berkeley studies, management consulting, blogger, etc.). Despite these Thing 1 / Thing 2 like characteristics, he always writes with a unique voice, and I wanted to share the following post he wrote about our training in NY and aspirations for PK. In nature, caterpillars take some time off from the world to grow into something beautiful. At the moment, I’m sitting on the plane, heading to Pakistan – my own personal cocoon. I hope that my time abroad will teach me new skills and help me to reflect on what is to come next. As I wrote in my previous post encouraging you to apply for the fellowship, the first two months in NYC have stretched the way I perceive the world. One of our trainers, Greta, used the metaphor of a rubber band: when you stretch a rubber band, it will always snap back to its original shape, but if you stretch it enough it will snap back to an expanded state. Right now, I feel stretched – I’ve taken in a lot over the last two months. During the next part of the journey I will start to distill what I’ve learned – I’ll start to snap back, but I know that I’ve left NYC with my mind expanded (for the purposes of this metaphor, we are ignoring the chance that the rubber band might snap in half). I’ve spent hours debating, discussing and sharing. The other Fellows and I have thrashed over the moral implications of poverty alleviation and whether it works at all. I’ve questioned Acumen’s model and I’ve learned about the challenges faced by social investment funds. We spent a whole week just discussing the literary works of the greats: Martin Luther King Jr., Plato, Rachel Carson, Nelson Mandela and many more. I received some of the most impressive tactical training in a wide range of areas from networking to negotiation skills, marketing at the base of the pyramid (BoP) and story telling. We met with many extremely successful and impressive people associated with the Acumen Fund and many of them had their own way of challenging us to discover our inner passions. Just when I thought I had my life plan figured out, someone would ask me a question that turned it upside down again. These conversations have lead me to many healthy questions about who I am, what I stand for, where I want to go in life and why I do the things I do – like writing this blog. The questions are good, and I hope they keep coming. I recognize that you can only find the core of who you are if you keep asking again and again. I suppose you’re curious what I’ve learned, well here it is: I recognize that I have an unceasing appetite to learn and create new things and that I love cultivating myself and others. Time will tell what exactly I end up doing, but I’m fairly certain that what I do next year and beyond will depend on what ideas I have that resonate with the core of who I am. I’m also fairly certain that I’ll keep rediscovering that core. More important than all of the above, however, is that I am leaving NYC with nine new best friends – the other fellows. You can imagine that when you spend nearly 24 hours a day together for two straight months, discussing your hopes and dreams and passions and beliefs, you start to get to know one another. Thankfully, I’m bringing one with me – Benje. It’s been just two months since we met, but Benje feels like a brother to me…the kind of person who you don’t feel awkward around when theres silence or when you need to borrow something of theirs without asking – like family. During the next nine months, I’ll be helping to build low-income housing in Pakistan at a small start-up and I’m eager to discover which parts of the experience resonate with me. I probably need more than this year to emerge from my cocoon as a butterfly, but I know that I will return stretched and ready for the next challenge.